Having a custom home built is only a wishful dream for many homeowners. In reality, however, to build a custom home with all the amenities and features specified by you, is not as far out of reach as you might think. Though custom home building is expensive, costs can somewhat be mitigated, or at least controlled as you specify exactly what features are in the custom home, e.g. lot costs, house size, construction material, and amenities. Through the help of an architect and builder you should be able to fairly accurately estimate your building costs. The other major investment when building a custom home is your time. You are required to select the lot, as well as every feature and aspect of the home. This requires a great deal of traveling to survey potential sites for your home and to visit various home stores for selecting doors, windows, shingles, lighting, tub/showers, kitchen appliances, flooring, etc. Consequently before embarking on building a custom home, make sure you have the time to support the effort. Only through your dedication in the building process will you actually obtain the custom home you’ve dreamed about. Before starting any custom home building project it is wise to work with an architect. An architect will be able to convert your custom home ideas into a real plan that will meet local and state engineering requirements. They will also be able to give you advice on land selection and what type of lot best suites the home style you prefer. Learn about architect design service options and fees here. Even if you already have a set of pre-purchased plans it is advisable to employ an architect, as you will inevitably have changes. In addition, not all home plans meet every local/state building requirement. The selection of the building lot plays a major role in the cost of you custom home building project. If the lot requires its own septic system, well, and electric and phone utilities to be installed you will need to account for these costs in the project. In addition a great deal of time is usually required to develop and obtain septic design and obtain local and state approvals. Learn more about selecting a building lot here. Furthermore you will need to schedule and manage the timelines for electric and phone utilities to be installed which could delay the start of you project. This said if you can find a building lot that already has an approved septic design or is on municipal services you may be wise to take it. In addition if electric/phone lines already pass by the home you will save yourself significant time and costs. Building lots, however with these amenities and services already available to them do command premium prices. 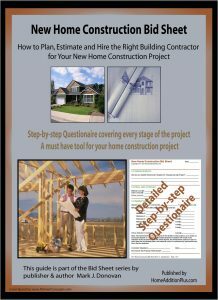 You will need to carefully analyze what makes the most financial and scheduling sense for your custom home building project. Also, do not hesitate to negotiate with a real estate agent on a building lot that meets your needs. In addition to the lot costs and utility concerns, you will also need to determine if the lot meets your needs from the perspective of the specific home you want to build. You and your architect need to look at the topographical maps of the property to see if the grades and soil quality meet your home’s specific needs. You will also need to consider wetlands, setbacks and easements on it that may impact your ability to build the custom home. Before actually purchasing the building lot, visit the local town/city/county hall and make sure you have confirmed all the property specifics including who is the rightful owner, the tax records, zoning laws for the location of the lot, and the last sale price. Make sure there are no liens or encumbrances on it as this will add to your cost of construction and potentially turn a custom home building project into a nightmare. There are many financing options available to you so you will need to visit a few banks to understand the options that make the best sense for you. There are fixed rate mortgages, adjustable rate mortgages, and even construction mortgages that convert to conventional mortgages after the home has been completed. If you are working with a real estate agent they may be able to point you to the appropriate lending institutions for your specific needs. Depending on your specific lending needs you can expect to pay $1500 to $7000 for just the cost of the loan. These costs may even be higher depending on how big of a custom home you have in mind. Again the loan costs need to be part of the budgeting process. Learn more about financing a new home construction project here. To obtain a construction mortgage you will need the project fully specified and priced out. This includes the listing of all major aspects of the project: site preparation, permits, architect, foundation, framing, roofing, material costs, electric, plumbing, insulation, drywall, cabinetry, appliances, painting, and interior work. If a septic design is required state approved plans will also need to be presented. Learn more about septic designs here. And if utilities need to be installed or moved you will need to show the cost and locations of them as well. Typically banks will look for the land as collateral. As a result, banks will usually not finance a custom home building project unless you own the land outright. If you are working with a custom home builder, you may be able to have him purchase the land on your behalf and have him include the costs of the land in the construction loan. Again, you will need to explore these opportunities with the bank and your builder to see what works best. Usually if there is a will there is a way. The cost per square foot for custom home building construction costs vary widely. It depends on your location, market conditions, material and labor costs, and the construction materials. You can expect to pay anywhere from $100 to $200 per square foot for a moderate custom home building project. This typically does not include the cost of the land, loan fees, engineering and site work. See this article to learn more about calculating the cost per square foot to build a house. The key elements to a successful custom home building project are planning, your active participation, patience and money. The first three items are as important as the money aspect. 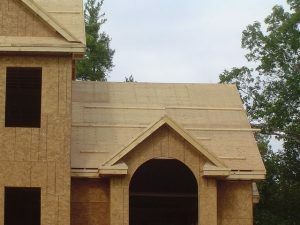 Without a proper plan a custom home building project will be unsuccessful. The plan needs to spell out every aspect of the project, including contingencies for schedule slips and cost overruns. Your active and everyday involvement is critical in making the project meet the dreams and requirements you initially envisioned. This means you need to be prepared for many phone calls, site visits, and product decisions. None of these items can be ignored or left for chance if you really want the home of your dreams. Finally, a custom home building project requires patience. Working with many people, which is the case in a custom home building project, involves dealing with many types of personalities with their own specific needs and schedules. Expect disagreements; anticipate contractors to be late sometimes, and expect things not always to go as planned. Add these issues to the contingency list where you have already thought ahead on how to deal with these situations when they arise. Building a custom home can be a reality for you if you are willing to put the effort in. For most of those that have gone before you in such an endeavor the experience has been a positive one that they would be willing to repeat.